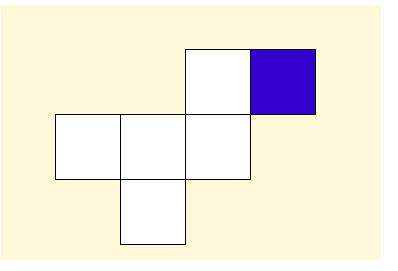 In the above picture, there are 6 faces, one face ( blue one) is movable. 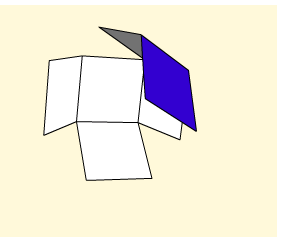 Below is intermediate status after pressing "fold it" button. I am not sure how to go about this. Any help is appreciated. You can use hierarchy of objects. There's a good example of it. 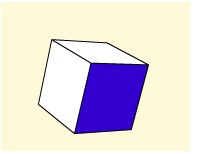 So, using this principle, I made animation for folding the cube, given in your question. Of course, this is not the ultimate solution, this is just a starting point. Passing paremeters to animation callback jQuery?